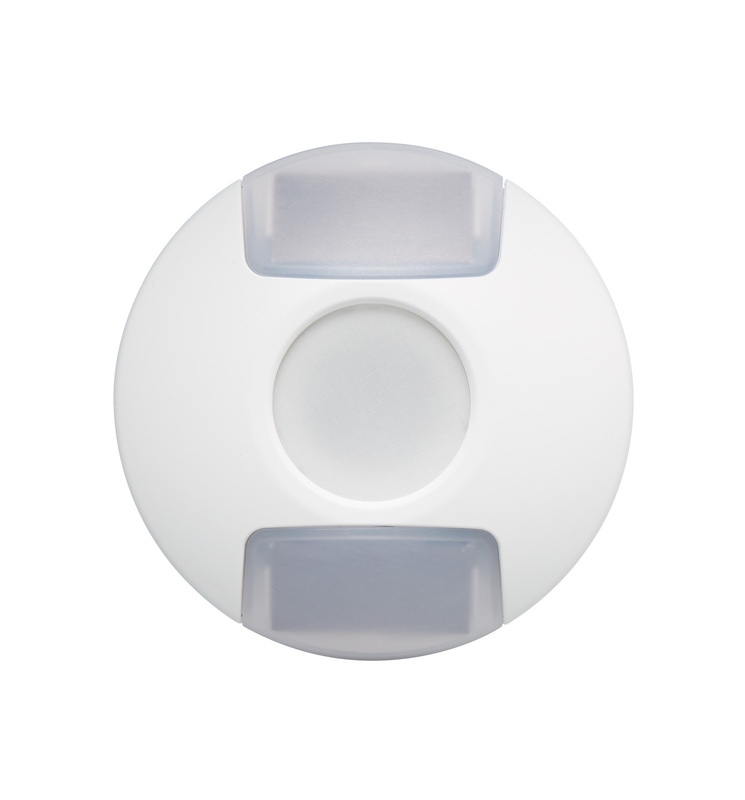 The TAP-31 is a wireless, self-powered photo sensor designed for indoor use. It provides a reliable and simple method for increasing energy savings by adding daylight harvesting capability to your Echoflex lighting control system. With two selectable ranges – 0-1024 lux (95 fc) and 0-65535 lux (6090 fc) – the TAP-31 is perfect for open- or closed-loop daylighting applications. The self-powered TAP-31 uses solar cells for power and will accept a coin cell battery for continuous operation in very low light conditions. The TAP Photo Sensor provides multiple mounting options, including integrated magnets for T-Bar, wire straps for ceiling tile, and screw holes for hard-lid ceilings. And with an aesthetically pleasing, low-visual-impact design, the TAP-31 will fit with any décor.